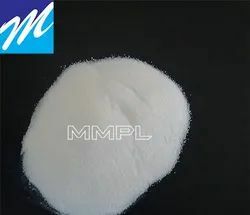 India’s leading Distributor-Wholesaler, Exporter, Supplier, Importer, Manufacturer and Trader for raw material from LG Chem, Indofil, Kaneka, Dow, Akdeniz Kimya, Shandong Ruifeng Chemical, Shandong Rike Chemical, Galata, Rohm and Hans, Zibo Huaxing Additives, Weifang Donglin Chemical, Mitsubishi Corporation, Shandong Hongfu Chemical. Acrylic Processing aid is give most outstanding performance in PVC critical product for promotes faster fusion, increase production output and yield, improve melt - elasticity, reduction of plate-out and melt texture , improve surface gloss, finishing, thickness, weight, tensile strength and impact. All rigid PVC products like CPVC pipe & fittings, UPVC pipe & fittings, rigid foam board sheet, door - window profile, WPC sheet - profile, food and Pharma packaging film , shrink film etc. Looking for PVC Processing Aid ?